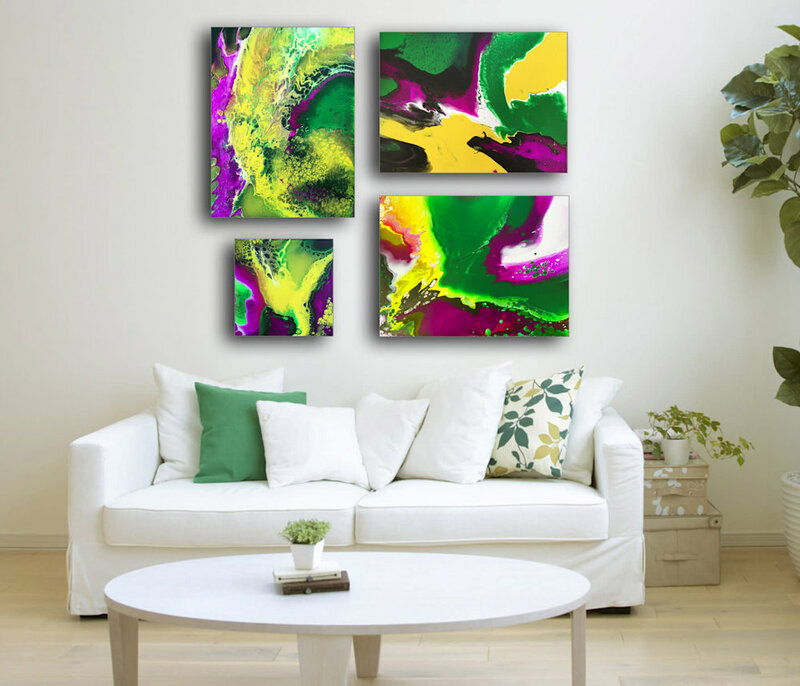 This quadriptych consists of four completely unique and original abstract acrylic paintings on canvas. 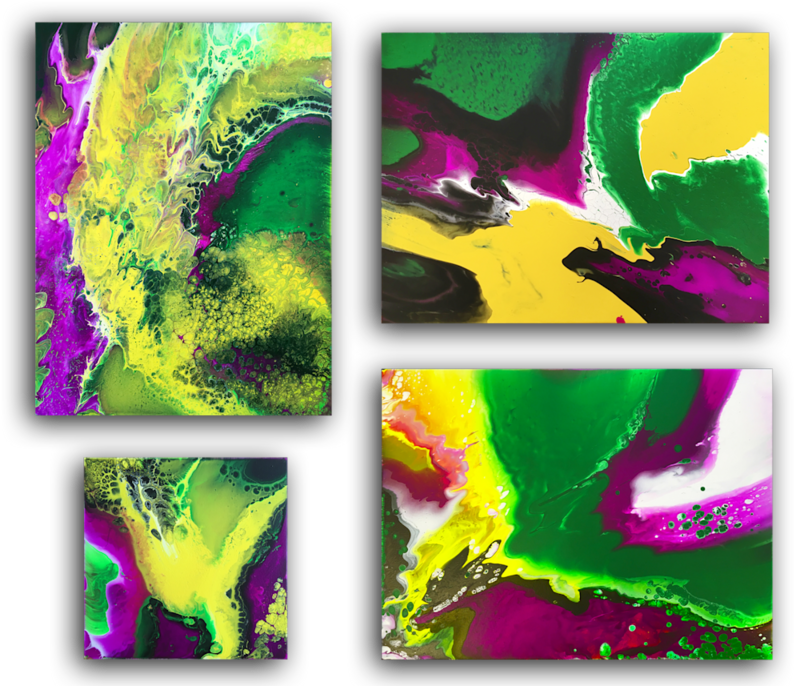 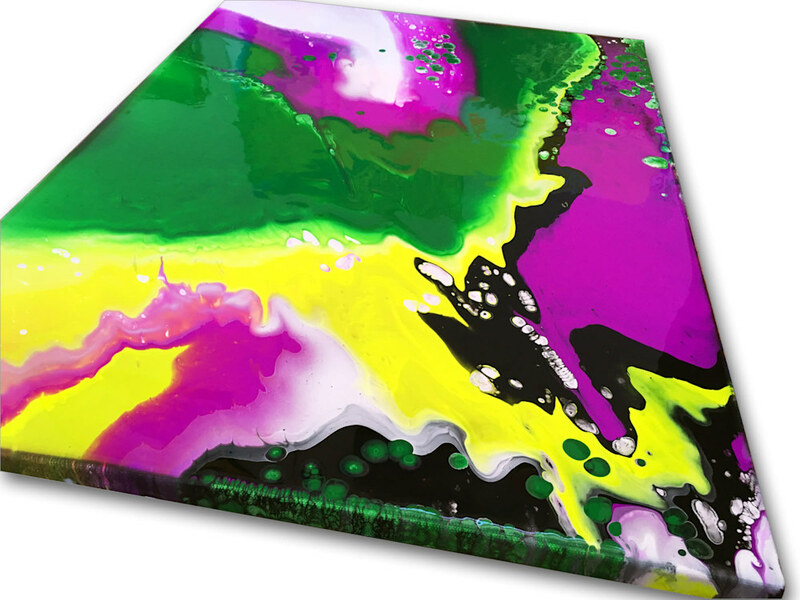 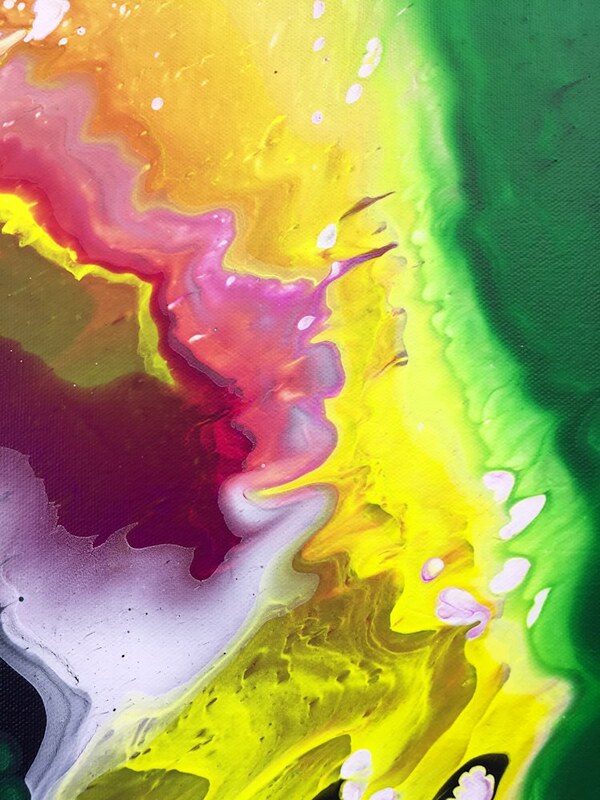 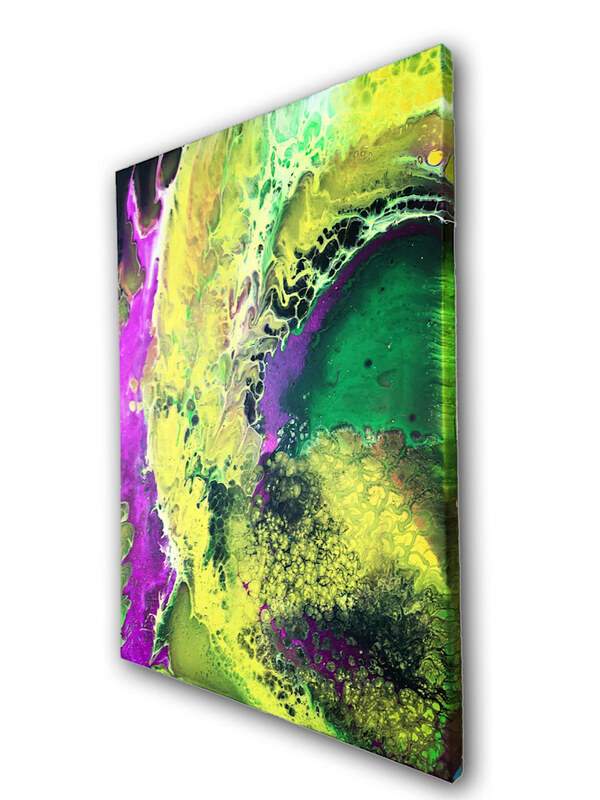 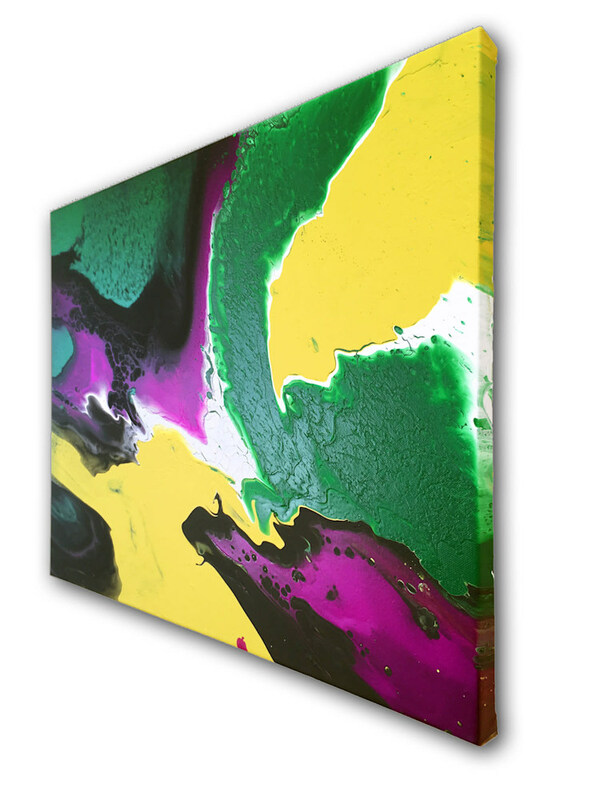 The pieces are an exercise in fluid painting and the fluorescent colors divide and swirl together creating an intriguing view of the cosmos, or some sort of alien landscape. 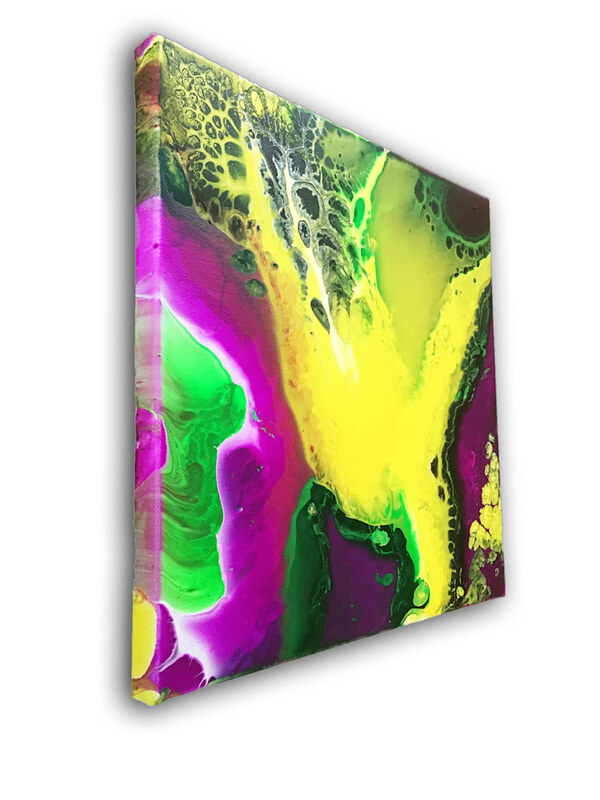 They work perfectly together, balancing each other out as a series and are beautifully colorful pieces that are alive with exciting and intriguing energy that will brighten up your space. 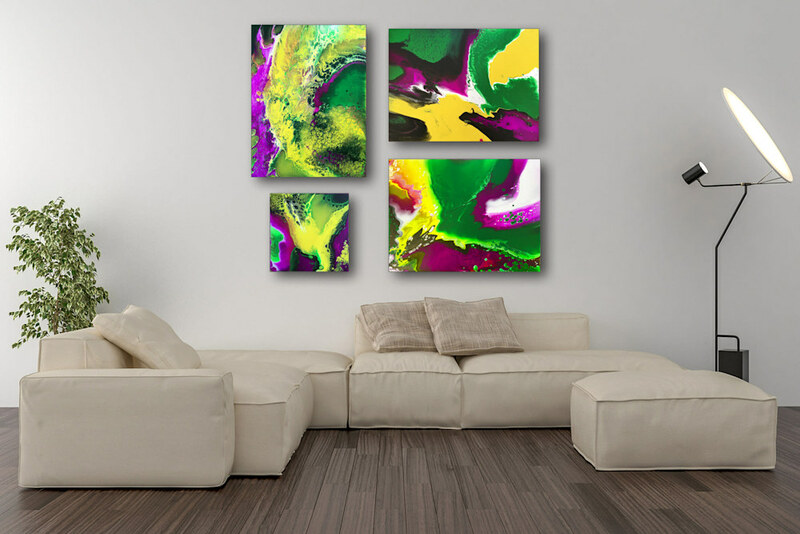 They are the perfect pieces for the right spot in your home or office. 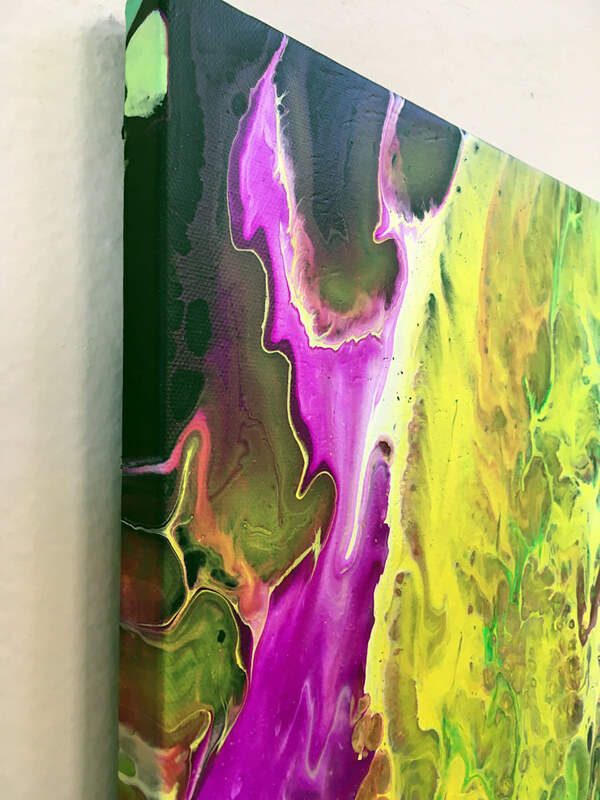 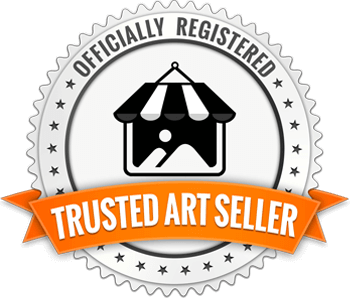 Note: These paintings are painted on canvas and do not come framed, however the painting continues on the edges of each canvas and therefore framing is not necessary on either. 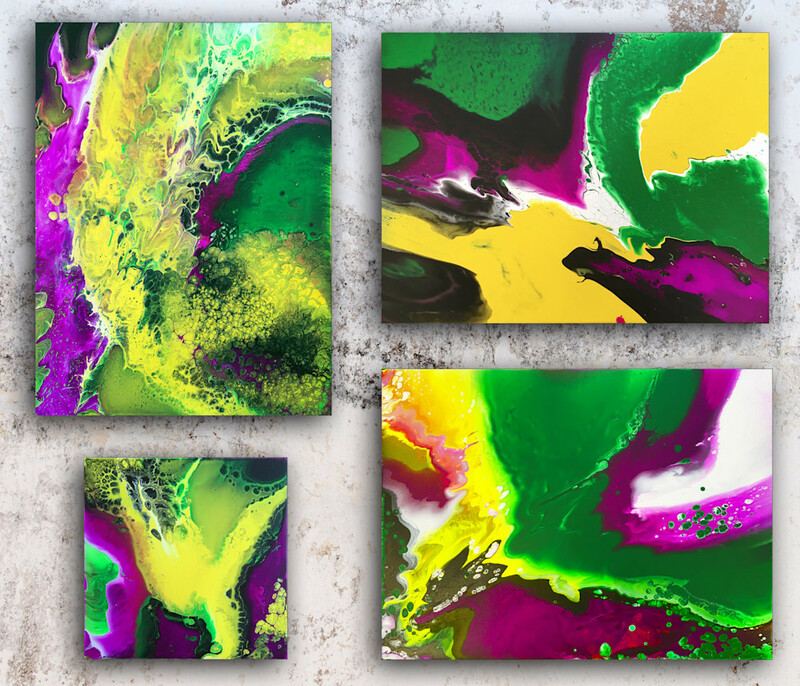 These are meant to be hung as a series and come hang ready. 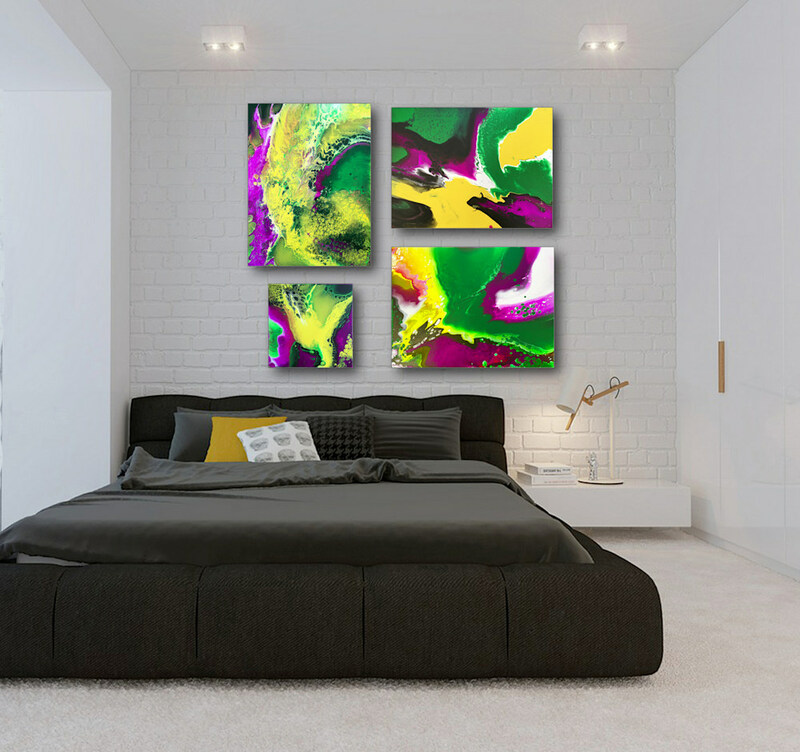 The arrangement of the pieces on the wall is entirely up to the collector, and the arrangement in the pictures is merely the artist's suggestion. 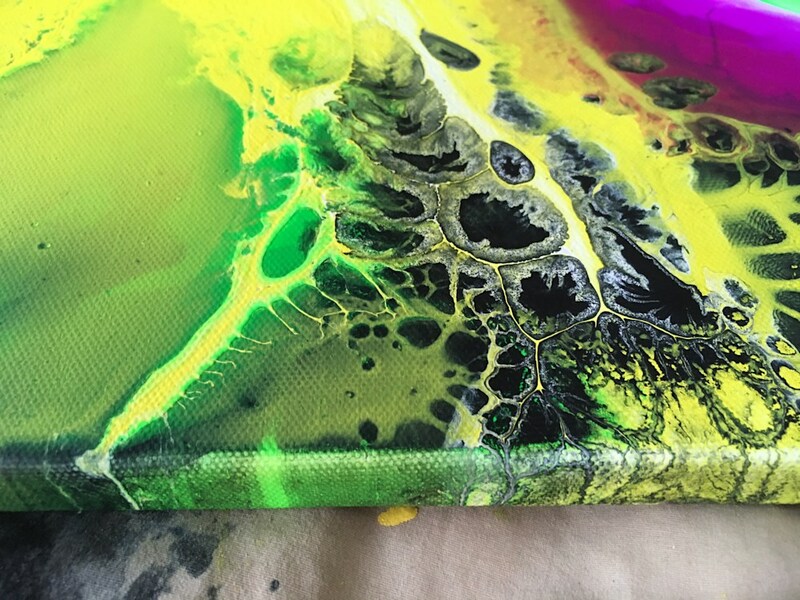 Paintings in pictures might not be perfectly to scale.